Avenue Salons is a rejuvenated way of getting salon treatment. Our salons emphasize the experience of the customer, with some of the best stylists in the country working specifically for you! With our partnership with Aveda we have access to the best hair treatments that are designed to strengthen and preserve your natural, beautiful hair. Aveda also uses sustainable processes, allowing their products to be environmentally friendly and safe! Aveda also provides training for all of our stylists, ensuring your experience at our salons will be the best yet! Athabascan Avenue Salon was originally Sylvia and Co Salon and had established themselves as the best salon in Sherwood Park. Avenue Salons is proud to uphold that tradition of excellence, with our CEO Mona Grewal and Aveda we want to introduce Sherwood Park to Avenue Salons and still allow all the existing and new customers that very same level of excellence while getting the perks of Aveda! 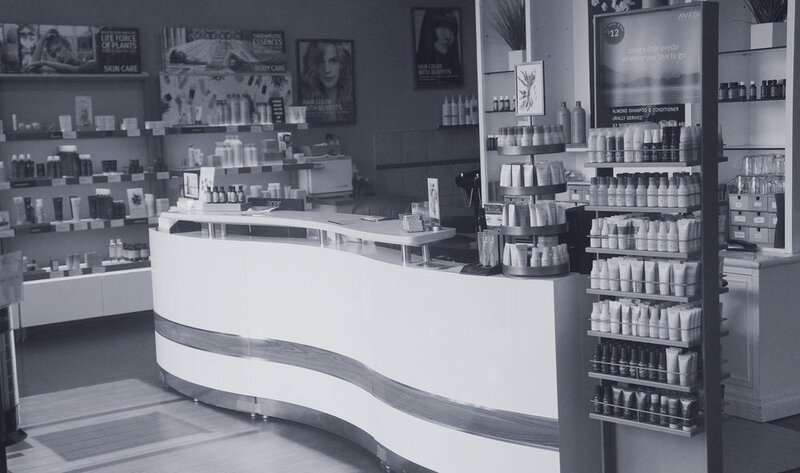 This location upholds the highest beauty industry standard, as some of the city's best hairstylists, beauticians, and retail advisors strive to create an enjoyable and relaxing experience for each guest. Check out our Facebook & Instagram and book your next appointment today! Whyte Avenue Salon was originally Edmonton Aveda Academy, and was originally under the Aveda Canada ownership. Our CEO Mona Grewal acquired the location and wants to bring this salon to the next level! The partnership between Aveda and Avenue Salons is going to allow us to bring the greatest salon experience to each and every single one of our guests! This location upholds the highest beauty industry standard, as some of the city's best hairstylists, beauticians, and retail advisors strive to create an enjoyable and relaxing experience for each guest. With the hottest location in the city, Avenue Salons on Whyte Ave is all you need for all your salon needs! Check out our Facebook & Instagram and book your next appointment today! Mona has been part of the Aveda family since 2008, and has been in the beauty industry for 10 years! Mona acquired both the Athabascan Ave location and the Whyte Ave location in 2018 and wants to bring a fresh, exciting, and new experience to our customers! Not only is Mona passionate about our team and creating an environment where our team can flourish professionally and personally, she is also passionate about making Avenue Salons your best salon experience!